The Digital Content Hub of Malaga will be the venue for this annual meeting that gathers the industrial and content drivers of this new audiovisual technology, which improves the quality of High Definition images. 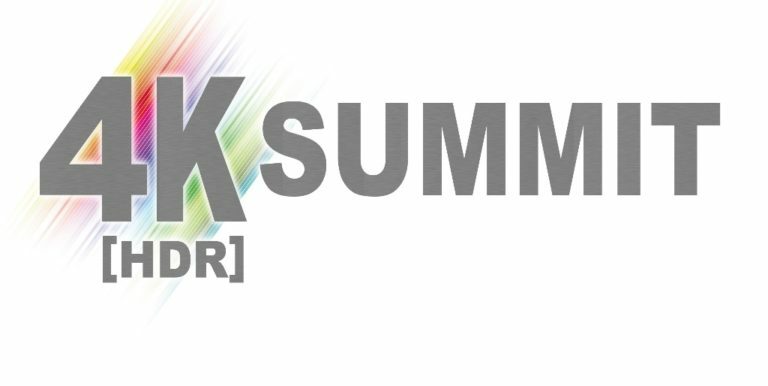 The 4KSummit tickets are sold out, but it can be followed through pay per view streaming, in English and in Spanish, on the site www.4ksummit.com. The United States, Japan, Korea, Great Britain, Germany, France, Italy, Switzerland, Sweden, Norway, Finland, Denmark, Belgium, Brazil, Canada, India, Turkey, Australia, Poland, Portugal and Spain are the countries that will be represented in this third edition of the 4KSummit. Movistar and Samsung are the main sponsors of the event, whose agenda includes 16 presentations and 10 round tables where all the application and business fields of 4K at a world level will be addressed. In addition, among the international sponsors of the 4KSummit are multinational companies such as Sony, Eutelsat, Dolby, Canon, Fujifilm, Panasonic, Nokia, Ericsson, Avid, Grass Valley, Rohde & Schwarz, Akamai, Ateme, Vestel and Spectracal. In representation of Spain, the sponsors are RTVE, Canal Sur, Hispasat, Cellnex, Axión, Tedial, Sono, Hurí and Ovide. The international relevance of the 4KSummit is proved by the fact that the President of the Ultra High Definition (UHD) Alliance and the work teams of the UHD Forum and the Forum for Advanced Media in Europe (FAME) will be at the Digital Content Hub of Malaga. The European Broadcasting Union (EBU), the DIF (Digital Interoperability Forum), which represents the European pay television operators, and the international DVB Consortium, will also participate in this event, considered to be the most important on Ultra High Definition at a world level. This year, the Japanese company NHK will be represented by Hidenobu Miyazaki, producer of the global content development division. In addition, other senior executives of multinational companies such as the president of Eurosport, Peter Hutton; Warner‘s tech vice president and Michael Zink; the vice president of Eutelsat, Michel Chabrol; will meet in Málaga. On the Spanish side, the panel of speakers is headed by the president of Telefónica, Luis Miguel Gilpérez; the vice president of Samsung, Ignacio Monge; the director of La 2 of TVE, Juan Manuel Hidalgo; and the top executive of Canal Sur, Joaquín Durán, among others. The 4KSummit offers unique networking opportunities with executives and technology and content companies. Sony, Dolby, Fujifilm and Rohde & Schwarz, among others, will offer free access workshops for professionals at the exhibition area. What is also new about this year’s edition is that the 4KSummit will offer a market area for Spanish producers so they can take advantage of the opportunity of having top executives from content companies in Malaga and explore co-production possibilities, especially within Europe. The 4K-HDR SUMMIT is the first international event that joins CONTENTS and TECHNOLOGY.